The Israeli economy is characterized by extremes: fast growth, sophisticated technological development, large defense spending as well as poverty and inequality. The discovery of very large gas reserves in Israeli territorial waters means that more resources will be available to tackle socio-economic problems but it has also sparked discussion of the Dutch Disease. The revenues from gas could strengthen the Israeli shekel’s exchange rate and thus weaken the competitiveness of the non-hydrocarbon economy. This is what occurred in the Dutch economy in the 1960s. These revenues could also be used for a consumption boom that would leave the economy no better off in the long run. In the 1980s, the UK spent much of its North Sea revenues on unemployment benefits for the millions who lost their jobs as interest rates and the exchange rate rose under Margaret Thatcher. Norway, on the other hand, has invested its oil and gas reserves in ways that will provide a future stream of revenue and avoid a loss of competitiveness. Israel is now studying these examples with the hope that it will benefit from their experience. In 2007, Israel consumed about 2.7 billion cubic meters (bcm) of gas and in 2009, some 4.2 bcm. More than half of the natural gas is provided from Israeli sources and the rest from Egypt. By mid-2009, natural gas was the source for 40 percent of Israel’s electricity generation. At the end of 2010, 450 bcm of gas was found in the Leviathan field worth an estimated $90-100 billion. 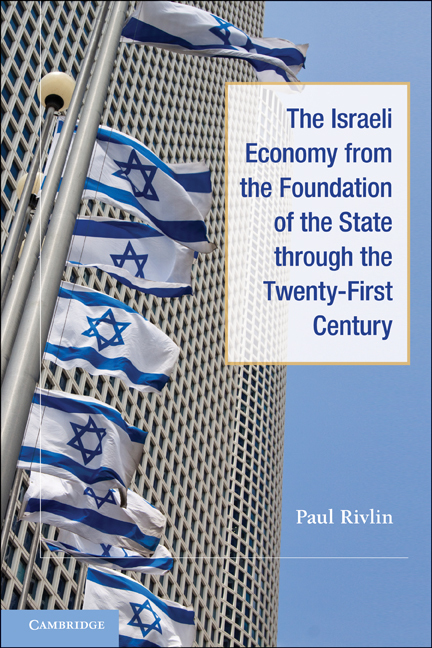 (Israel’s 2010 GDP was calculated at $220 billion). This opened up the possibility of exports with implications for Israel’s strategic position as well as its economy. The Ministry of Finance has suggested that Israel has suffered from a Dutch-like disease for some time. Foreign investment in hi-tech and the rapid growth of exports from that sector transformed the balance of payments as well as the structure of the economy and its growth record. This strengthened the exchange rate against a background of a weak dollar and this helped to weaken the competitiveness of other sectors. The story of Israel’s hi-tech has also been dramatic. In 1990, exports of the information and communication technology (ICT) sector came to $2.3 billion; by 2009 they were $18.5 billion. Production rose by 500% in that period. Although this sector accounted for almost 40% of merchandise exports in 2009 it employed only 200,000, just 8.4% of the labor force. The rapid development of Israeli hi-tech was made possible by investment in technological education and the increasing use of technology in the army. The origins lie in the earliest days of the state when the application of science and technology to the solution of military problems began. Production for the military was supplemented by exports and measures were taken to release personnel and technology for civilian applications. The army and military industries thus became training centers for people who went on to create successful hi-tech companies. This process was supplemented by government programs to support hi-tech in the civilian sector. These included grants for research and development, incubators for small-scale start ups and assistance for new immigrant scientists and technologists. The later is now financed by royalties from previous investment. The close defense relationship with the United States has also fostered cooperation with the world’s most advanced economy. The development of hi-tech has helped to compensate for the very high costs of defense (including those of conflict). These are not fully reflected in the defense budget as Israel conscripts manpower for 2-3 years and pays those soldiers minimal compensation. As a result the economy loses tens of thousands of man-years. As there is an international market for highly skilled personnel, the hi-tech sector pays relatively high wages and this is one of the factors behind increasing inequality in the distribution of income. Other factors are the low earnings resulting from very low labor force participation of Arab women (Arabs account for about 20% of Israel’s population) and ultra-orthodox Jewish men. Both the Arab and ultra-orthodox communities tend to have large families something that lowers income per head. In the latter there is an unwillingness to provide children with a basic education that includes math, English, technology and citizenship. This means that they lack skills and earning power and as a result poverty continues from generation to generation. Mainly as a result of these factors Israel has one of the highest rates of poverty and one of the most unequal distributions of income in the Organisation for Economic Cooperation and Development (OECD),. that Israel joined in 2010. As the OECD has said, unrealized educational potential and low employment rates represent not only hardship for those concerned, but also wasted resources for the economy as a whole. The government has recognized the severity of the problem but the measures introduced to tackle it have been limited.